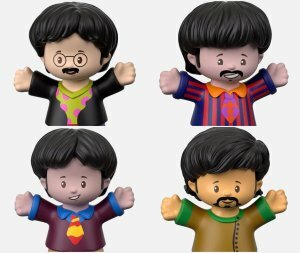 Fisher-Price will be releasing “Little People” figures of The Beatles from Yellow Submarine later this year, as well as some classic WWE Wrestlers. This is part of Mattel’s attempt to boost Fisher-Price’s business by dipping their toes into the pop culture collectibles market. The Yellow Submarine set will be a limited-edition four pack of figures, available this Fall for just under twenty bucks. Get ready to rock ‘n roll with a little help from your friends John Lennon, Paul McCartney, George Harrison, and Ringo Starr with this special edition celebrity Little People® figure pack. Hasbro is releasing a Transformer that turns into The Ghostbusters Ecto 1. Autobots, Decepticons and ghosts?! 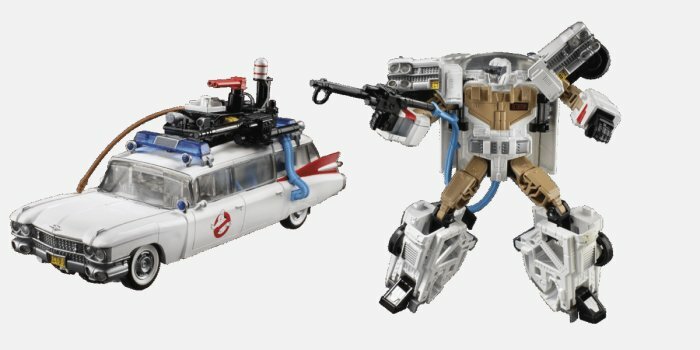 Hasbro, Inc. and Sony Pictures Consumer Products today revealed the first-ever TRANSFORMERS-Ghostbusters Collaborative figure, the ECTO-1 ECTOTRON, available at GameStop summer of 2019 and for pre-order starting February 15 at HasbroPulse.com, GameStop and EB Games Canada. This year marks the 35th anniversary of both the TRANSFORMERS brand & the original Ghostbusters film. Alpha Group will be releasing a slew of toys based on SpongeBob Squarepants, just in time for the beloved cartoon’s 20th anniversary. COLLECTIBLE VINYL FIGURES – Designed for the older fan that has grown up with SpongeBob and now enjoys collecting figures from their favorite nostalgic shows. NICKELODEON SLIME – For the first time ever, two Nickelodeon favorites come together for an epic experience, as now SpongeBob and friends get “slimed” with official Nickelodeon Slime! TOYS WITH A TWIST – Totally wacky ways to play with SpongeBob with your friends! NOVELTY COLLECTIBLES – Young-and-old alike will dig playing with the novelty collectibles! ALL-NEW PLUSH CHARACTERS – From 4-inch clip-on collectibles, 6-inch minis and an assortment of interactive and squeezable plush, new SpongeBob SquarePants plush roll out beginning this Spring. 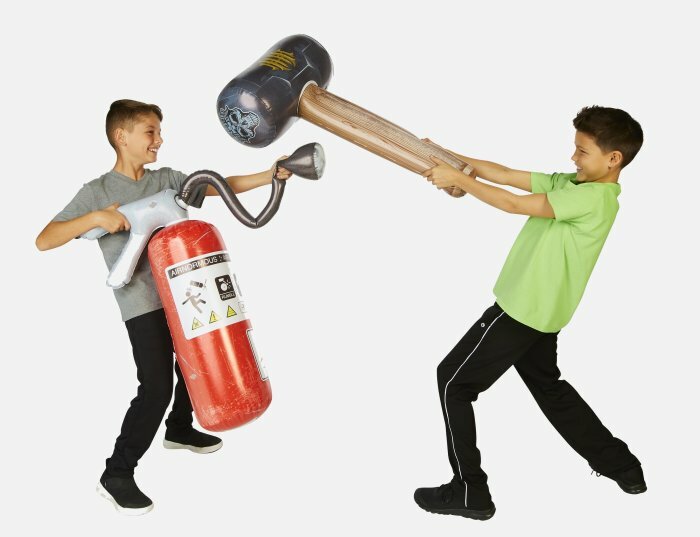 AIRNORMOUS BIG BASH PROPS – These enormous WWE props include a sledgehammer, fire extinguisher or microphone. Based on actual props used by Superstars such as John Cena, Seth Rollins and Triple H, these props tower over three feet tall. Each sold separately. AIRNORMOUS SUPER SLAMMIN’ FISTS – Show off with these Super Slammin’ fists that are bigger than any WWE Superstars’! Check back for more Toy Fair updates all weekend long in PopCult.